As Schwartz challenges the kids to see who can survive using possible king-like abilities, Sougo goes back to help an unconscious Hiryu. He screams for him to look out and his words literally stop time and large debris freezes in air. A Time Mazine reaches out for him and Sougo appears to will it to disintegrate. Schwartz approaches him and recognizes him as a future king. He asks Sougo for his name before he seems to infuse him with some kind of pink power. Time restarts and Sougo hurries over to save Hiryu from the falling debris. 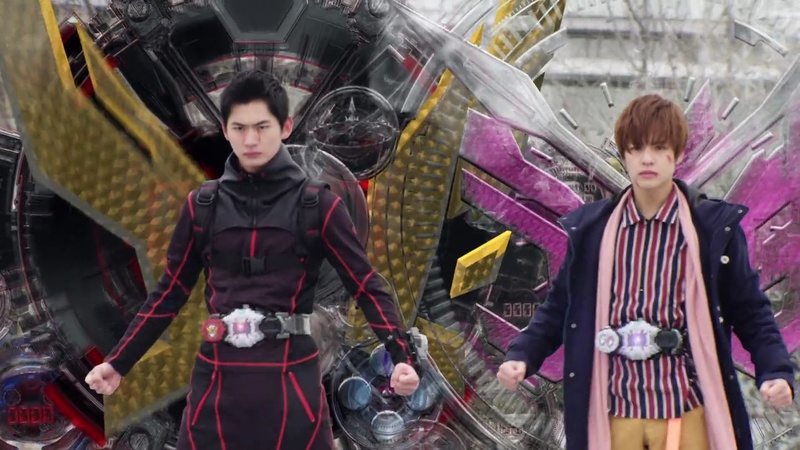 Back in 2019, Geiz and KuroWoz continue battling. But KuroWoz can’t keep up with the Revive powers and he is forced to dehenshin. Geiz repeats that no one can stop him from defeating Oma Zi-O. Geiz continues bleeding from wherever. 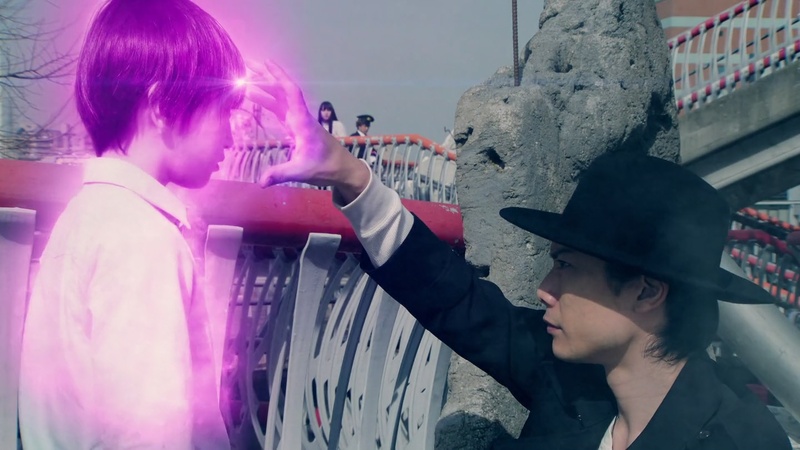 KuroWoz reminds him of the damage Geiz Revive will do to his body. And if he keeps this up, Geiz won’t be able to take on Oma Zi-O. 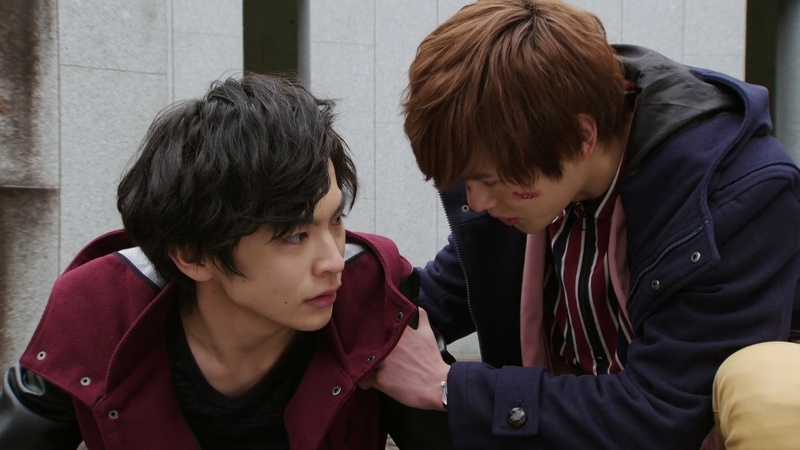 He advises Geiz to rest up. Geiz says he made a promise to settle things and he isn’t going to break that promise. On the other side of town, Hiryu has found an Another OOO host and Heure tells him to gather his troops to finish off Tokiwa Sougo. Later, ShiroWoz confronts Heure about him working with KuroWoz. ShiroWoz kicks Heure in the face and wants to know what KuroWoz is up to. Heure says he doesn’t know, but he wants to know what ShiroWoz and Schwartz are up to themselves. ShiroWoz says it doesn’t matter who of Sougo, Geiz or Hiryu wins this battle. It won’t affect “our plan.” Heure is shocked about who “our” could refer to. Back in the past/future, Tsukuyomi wakes up after having been saved by Tsukasa. He points out that what she had witnessed was the moment the demon king they’re chasing was born. Tsukuyomi realizes Schwartz set up the bus accident and brought the kids to this future to test the children and see which had the qualities to become king. That child ended up being Sougo. Tsukuyomi remembers seeing Schwartz putting some kind of power inside Sougo. Tsukasa says Schwartz has returned Sougo and Hiryu back to 2009. Tsukuyomi asks Tsukasa what he’s doing here. He says he’s here to see if this world should be destroyed or not. If he sees Sougo becoming the demon king, then the answer is clear. Tsukuyomi asks if there might be another way, but Tsukasa isn’t sure. Back in 2019, Hiryu stops Sougo from heading to the duel site. They henshin and Sougo must take on Hiryu and all the Another Riders. 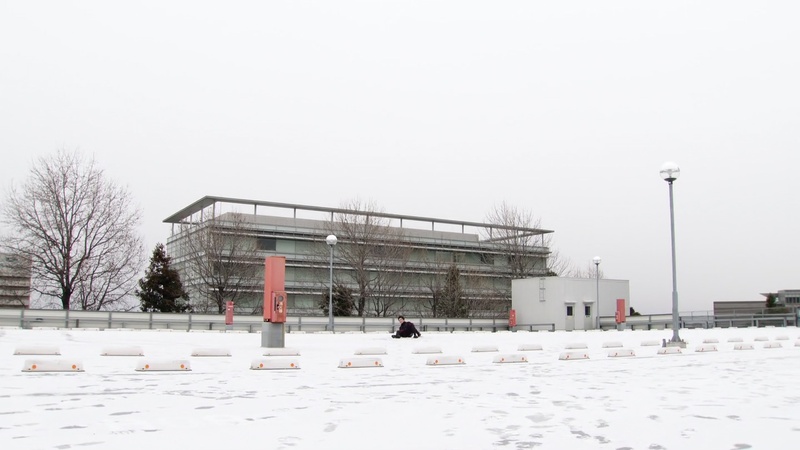 Geiz arrives at the snowy rooftop of the parking garage duel location thinking Sougo won’t show up. But he does. 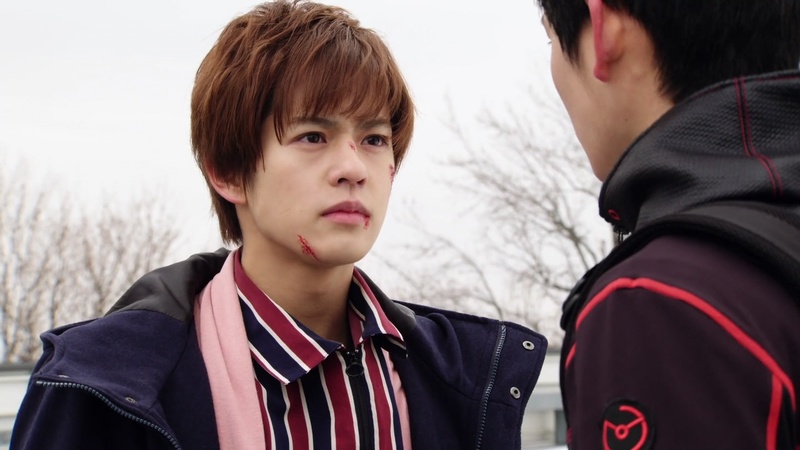 Both Geiz and Sougo are beat up and stumbling around. But they both want to keep their promise. And Sougo says meeting Geiz this way is the only way he can see him. Sougo says he didn’t have friends until he met Geiz and Tsukuyomi. Geiz says they are not friends and that they’re about to have their final battle. But Sougo says that’s alright since he told them before that it would be okay to kill him if they ever think he will become the evil Oma Zi-O. Sougo says he trusts Geiz’s judgment. He asks Geiz if he thinks Sougo will become Oma Zi-O. But before Geiz can answer, Hiryu arrives already henshined as Another Zi-O. Hiryu runs over to grab Sougo by the collar and is ready to punch him to death. 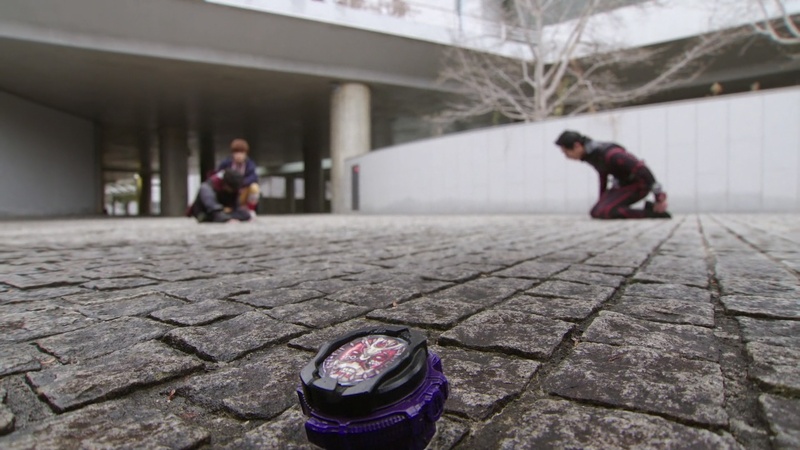 But Geiz also runs over to stop him. Hiryu reminds Geiz about wanting to end the demon king. But Geiz says Sougo will never become the evil demon king. He says Sougo is the kindest and most trustworthy person he’s ever known. Hiryu tosses both of them aside. Before Sougo can say anything, Geiz tells him no one will defeat Sougo but him. Sougo smiles. Geiz and Sougo stand and henshin together. They take on Hiryu and the Another Riders. Geiz and Sougo uphenshin to different Rider Armor to take care of the Another Riders until it’s only Hiryu left. Geiz goes Revive and Sougo goes Zi-O II. 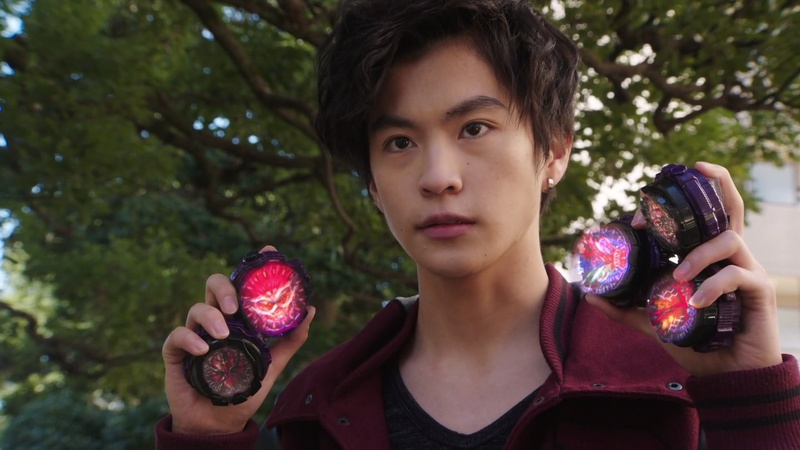 Revive continues to take a toll on Geiz, but he and Sougo are still able to work together to finish off Another Zi-O, forcing Hiryu to dehenshin. Both Sougo and Geiz dehenshin as well. Sougo approaches Hiryu. Hiryu starts to say that if only Sougo didn’t exist. Sougo knows Hiryu blames him for the accident and he acknowledges it might be true. Sougo apologizes, but says there’s nothing he can do about that. All he can do is believe that both of them can overcome what happened. They can let go of the past and live for today instead. Hiryu cries. 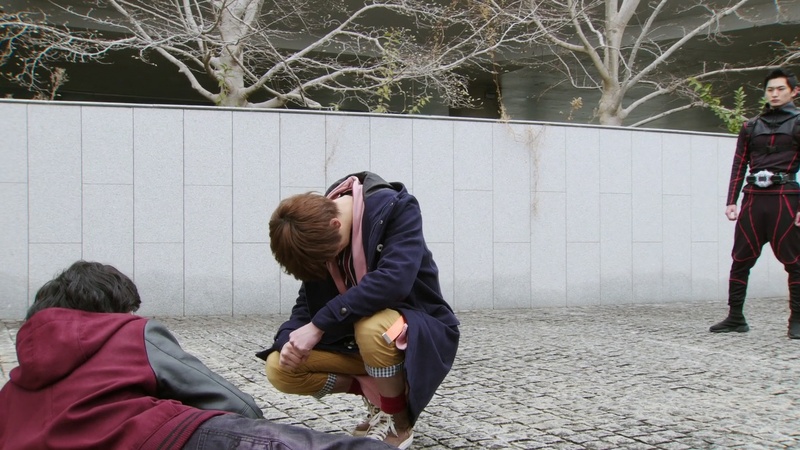 Geiz is brought to his knees. The Another Zi-O watch shatters, but puts itself together again. 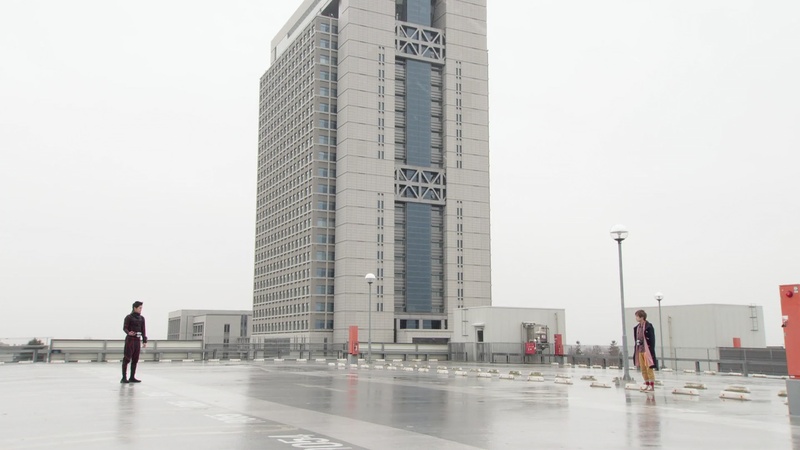 Sougo helps Geiz up the ramp of the parking garage where they will have their final battle. They turn and prepare to duel. Geiz is about to henshin, but Sougo has a favor to ask of him. Sougo says it is their home now. He admits that without Geiz and Tsukuyomi, the place feels lonely. And that’s why he wants them to come back. Geiz puts his Watch up again, ready to henshin. But Decade returns Tsukuyomi to 2019. 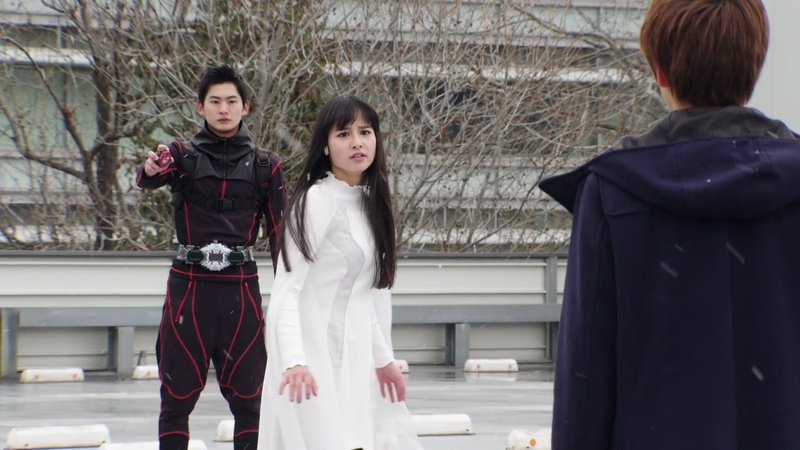 She screams at Sougo and Geiz not to fight and tells them there seems to be something else going on here. Geiz and Sougo look at each other and giggle. Tsukuyomi doesn’t get it. They head back to the shop. Sougo tells Uncle Junichiro that he’s found two new boarders. 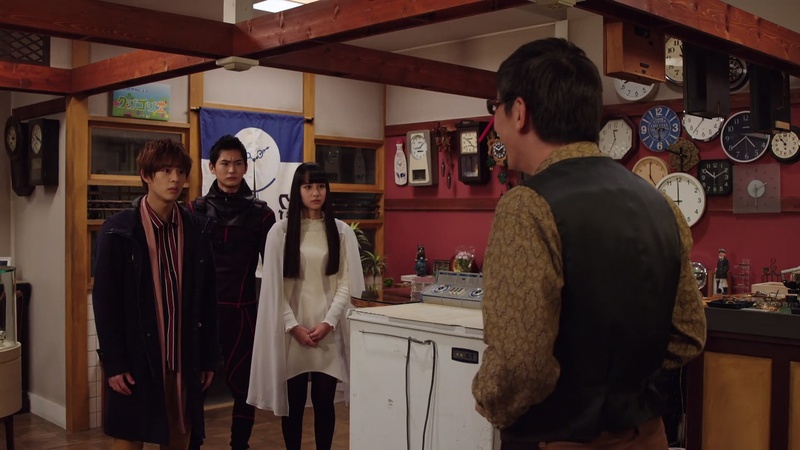 Tsukuyomi and Geiz walk in, hoping Uncle Junichiro can accept them again. Uncle Junichiro is so happy to see them back. But he’s also already accepted a new boarder earlier… KuroWoz. 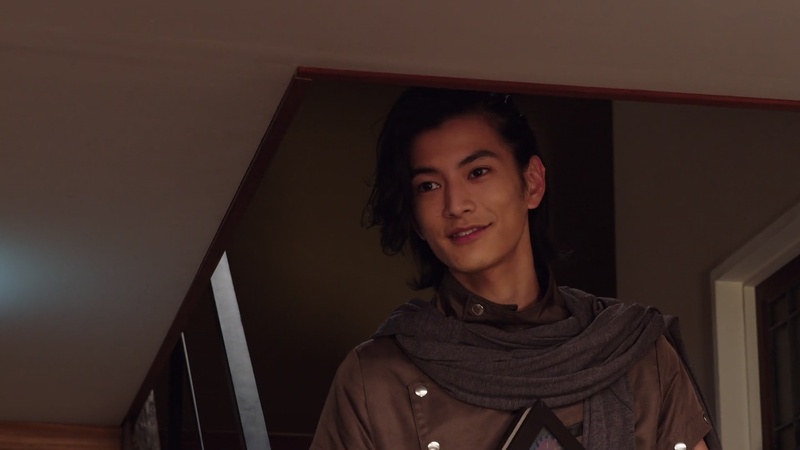 Uncle Junichiro says KuroWoz and Geiz can share the room. He hurries to the kitchen to get sukiyaki ready for dinner. Sougo excitedly goes to help. Geiz reminds Tsukuyomi of her asking him if he thinks Sougo is capable of becoming Oma Zi-O. Geiz has a firm answer now: No. And that is because they will not let him. Tsukuyomi agrees. Geiz turns to KuroWoz and says they will stop him from helping Sougo becoming Oma Zi-O as well. KuroWoz says for now, they must work as a team. Geiz refuses. But Sougo comes in and tells KuroWoz he should apologize. KuroWoz insincerely says he’s sorry. 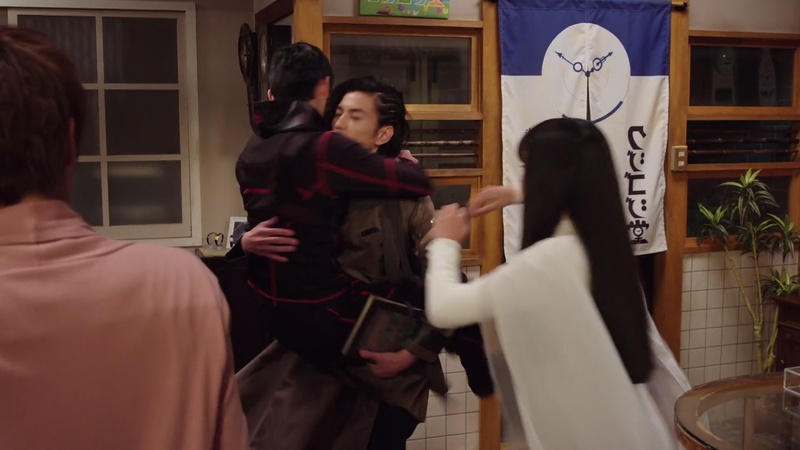 Geiz jumps on him. On the other side of town, ShiroWoz and Schwartz meet up. ShiroWoz says he will follow Schwartz’s lead from now on. So hopefully this means the tsundere couple are truly friends now. 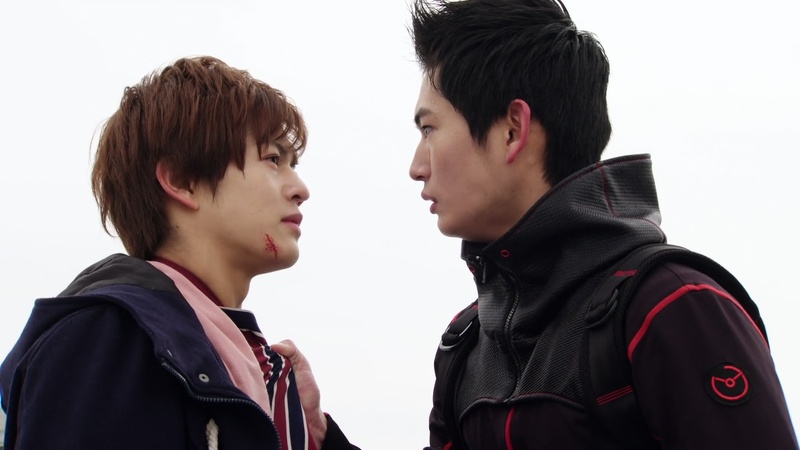 And this will have been the last time Sougo and Geiz have a lovers quarrel. lol I think going through this all again in the future will be one too many by now. But I do think they’ve firmly established that both Geiz and Tsukuyomi are intent on stopping Oma Day while also figuring out how to save their friend Sougo as well. There was a little bit of a theme about accepting the past and needing to live for the present (and future?). Of course, that first applies to Hiryu where Sougo said as much. And also maybe to Geiz and Tsukuyomi, since 2019 is technically their past as well. First with Hiryu, I am a little disappointed at the resolution to his story. Like, he’s been carrying this heavy burden and emotional trauma inside for ten years and it’s all solved just like that? Sougo basically telling him to get over it and move on. In a nicer way, of course. But for all the time they spent on doing a reasonably good job of fleshing out Hiryu’s character and motivation, I think he deserved a much better conclusion to his story. He merely got caught up in Schwartz’s evil plan and his anger, fairly or not, was directed towards Sougo. But the way they just cut away from that scene back to the hijinks of the gang all together at the shop waiting for sukiyaki, it was sad. Though of course, I’m not even sure that’s the last we’ll see of him. I assume it was though since we’re moving on to the next arc it seems. But it was certainly a little disappointing for me. He was a good character. Going along with that theme, we get Geiz and Tsukuyomi basically back to where we were a couple of weeks ago. But both of them being maybe more determined and with a stronger resolve to fight for their new friend. It was also a nice way to introduce the part about Sougo’s past and his loneliness. Explaining how he lost his parents (and how Schwartz was specifically involved in causing their deaths) and the effect it had on him was done well. 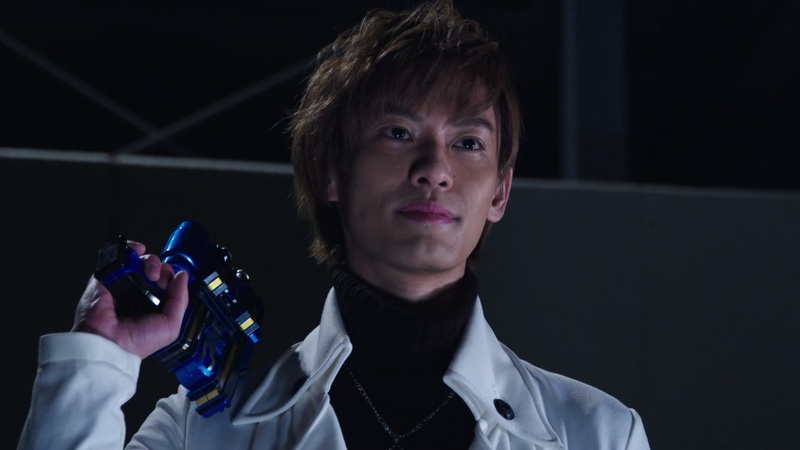 And again, even more importantly, the idea that Sougo grew up lonely, but hiding that from his uncle lends well to this present situation of him welcoming Geiz and Tsukuyomi as good friends. Elsewhere, I was a little thrown off though by the snow, or more like the editing I guess. Or the tough logistics of filming on different days. One second there’s a light dusting of snow on the ground and they’re in the middle of the day. The next second, it’s late afternoon and no snow in sight! Then back to the midday scene with no snow before it starts snowing. lol It was during the big battle between Geiz/Sougo and Hiryu/Another friends and the before and after. The go from snow to no snow to snow again and it was very noticeable for me since I liked the aesthetic of the snow in the unhenshined scenes. Even though the all Riders battle extravaganza was pretty nice as well. Overall, a good resolution to this arc for Sougo and Geiz (featuring Tsukuyomi). Not as good for Hiryu who was a pretty good character himself. And nice developments for the TimeJackers too. Good Heavens, I have to watch “Decade” to have some idea! And now we know Sougo’s childhood. I’m pretty sure when Sougo can learn what Schwarz did to him and Hiryu, this can be really hot! A pròpos, perhaps Hiryu can’t be so mad at Sougo like earlier. One day, maybe he’ll understand that he mustn’t treat Sougo like that. Heure is really interested in fact, what Schwarz and ShiroWoz are planning! What can it be? I would’ve liked to see Sougo and Hiryu talk a little more, especially since they both lost their families of course. Very sad. Hopefully, this isn’t the end of Hiryu or Another Zi-O. And I am glad to see that Geiz and Tsukuyomi and Black Woz are all living together now. The Another Zi-O Watch fixed itself back up at the end. I hope that means we haven’t seen the last of Hiryu, but it’ll probably have more to do with Sougo instead.